foto of the day. 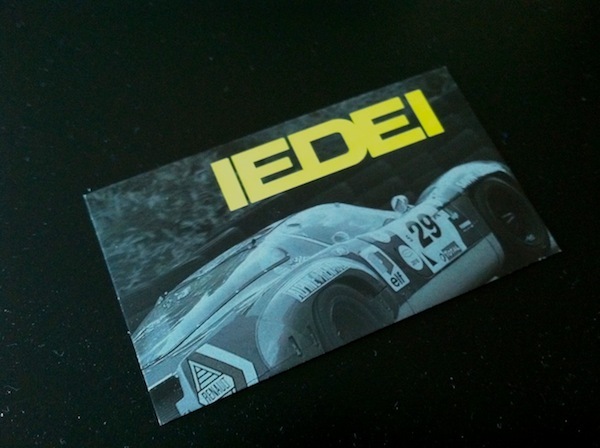 IEDEI business cards. Now I just have to find people to give them to! Beautiful! How do I get one! Would also make a great magnet for the toolbox! shoot me an email to iedeiblog@gmail.com and i’ll send you a couple! and yeah indeed, magnet would be great too! Hey Sayed , Congrats on the new cards, Would it be possible to get few sent to Toronto ? send me an email (iedeiblog@gmail.com) and i’ll send you some!